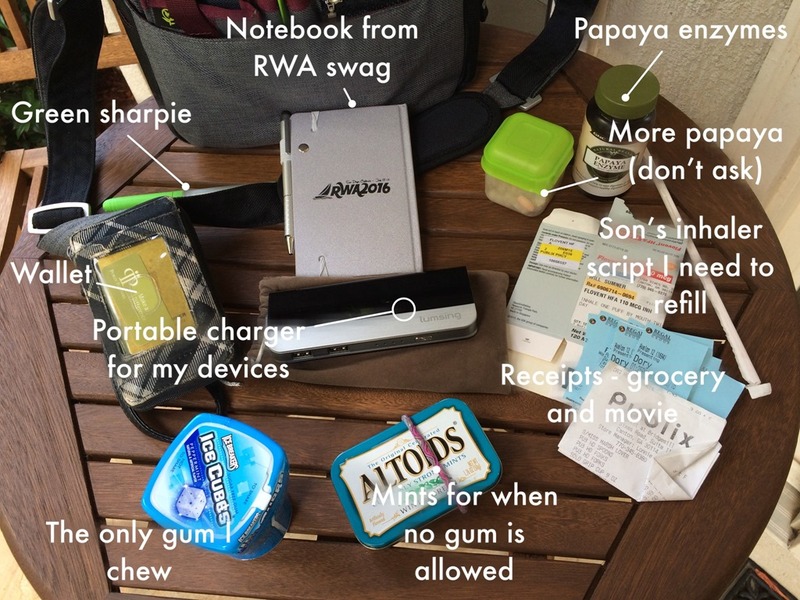 So this month for Writer’s Wednesday, we’re blogging about what’s in our bag. I carry a bag. Not a purse. Because I’m just not a purse kinda girl. It’s this cool crossbody from REI. Isn’t that embroidered design cool? And the neutral gray and black goes with everything!! I actually have a weakness for bags and quite a collection of the utility-type variety. What the heck is a utility-type bag you may ask? So what I’m wondering is what all this stuff says about me? I’m thinking that I’m organized and pretty neat. What do you think? 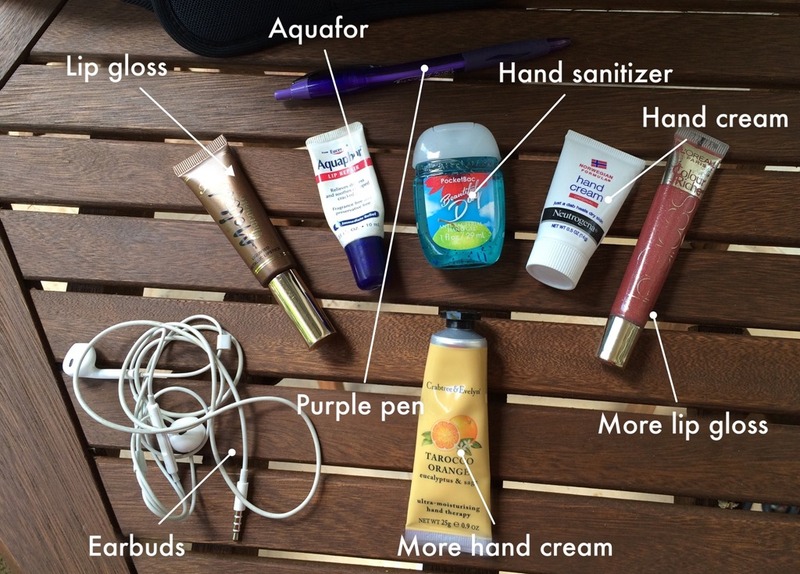 Care to share what’s in your bag? Thanks so much for stopping by. 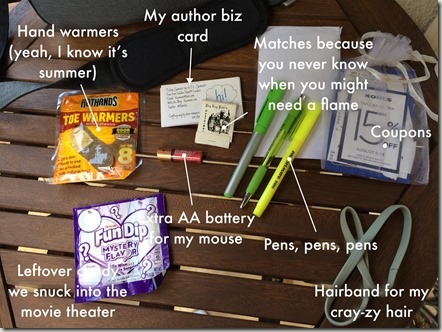 And be sure to check out what some of my author friends have in their bags. .
Great post, TL! Yes, you do look quite neat and organized. 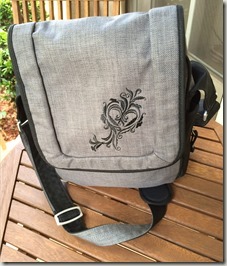 I love your bag – the embroidered design is really cool! Very neat. My new bag has a strap long enough for cross body wear, but I just can’t get the hang of that. Pulled up to its shortest length, it’s just right for a shoulder bag. I love your bag, TL! I’m a big fan of REI, too. 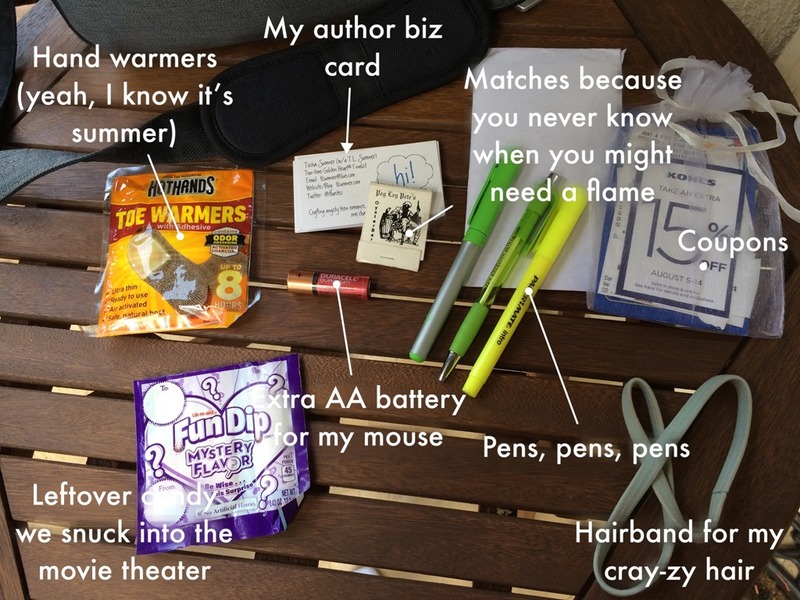 And your annotated photos are AWESOME. Thanks so much, Wendy! REI is one of my favorite stores and I spend WAY too much money there. And I made the annotated photos using an app on my phone called This. 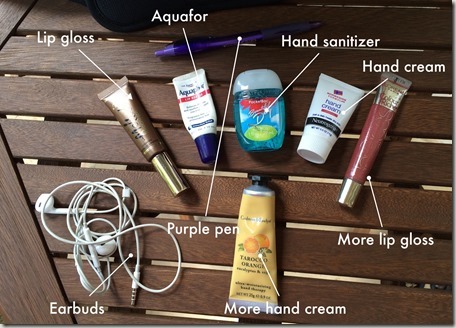 Not only is your bag super organized, the pics you posted are labeled!! I am impressed! I am digging your messenger bag. Might have to look into getting one. They look great for traveling! Awww… thanks, Pris. I swear by messenger bags because they are so versatile. 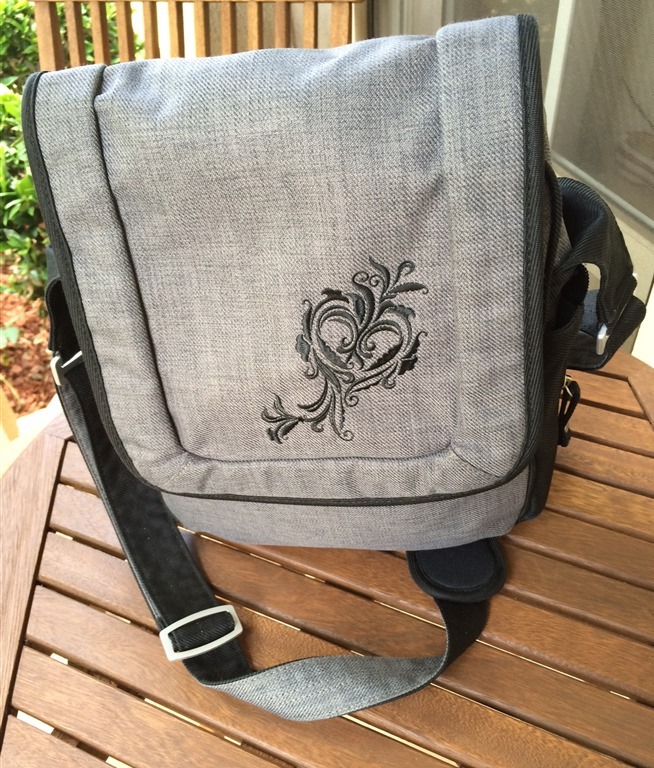 Especially with lugging my writing stuff around to the kids’ sporting events, yet being somewhat stylish. And yes – it’s perfect for traveling.